Top 10 "Need to Know Facts"
Athanasius Kircher (1601 – 1680) was a German Jesuit scholar, considered one of the first real sinologists. He took a passionate influence in Chinese culture long before the trend of “chinoiserie” (See: ART – Chinese influence on Western.) In particular, his work China monumentis, qua sacris qua profanis, nec non variis naturae and artis spectaculis, aliarumque rerum memorabilium argumentis illustrata (China Illustrata, i.e. “China Illustrated”), is pivotal in the development of sinology. Not only is it the first reference book regarding China to be so comprehensive – it is also an excellent tool for understanding the early European understanding of the Chinese. I chose this work as a primary source with that in mind. Throughout the pages of China Illustrata, one finds strange and largely unscientific assertions that, to us, seem entirely ridiculous. These include the assertion that Confucius was Moses and that the Chinese characters were abstracted hieroglyphs. But even false information, when understood through the appropriate context, can be highly enlightening. In fact, the false beliefs of a society or individual are often more important to them than the correct ones. Many of Kircher’s beliefs, such as that of Confucius being Moses, stem from an obvious religious background – this is crucial to the significance of the work. The religious undertones reveal an example of something fascinating: Jesuits are undeniably prolific scholars, but often, they would attempt to understand the Chinese (or indeed, any foreign entity) through a Christian lens. This is indicative not only of a trend in Jesuit work, but a trend that persisted throughout many Western scholarly inquiries. Naturally, as the majority of Europeans that traveled to China were Jesuits, this religious lens was present whenever any European wanted to learn about China. Thus, the work is not only an imperative reference for the development of sinology (for the methods it reveals and because it is among the first comprehensive works of sinology), but also for an illuminating look into Jesuit, and indeed European, perceptions of China. I used it not only to gain an understanding of Jesuit perspective, but also an understanding of the roots of the Chinoserie movement. For a complete .pdf of the China Illustrata, click here. The signing and sealing of the Treaty of Nanking, published 20 April 1846. Press on the image to be directed to the treaty itself. The Treaty of Nanking was an agreement between China and England after the First Opium War. This agreement is significant as being the first of the “Unequal Treaties” – treaties in which one country had to do much more than the other – and in heavily weakening the power and independence of the Qing Dynasty. The treaty generally requests trade privileges, places for Europeans to lodge in China and an island for England to operate off of, and offers no recompense to the Chinese. Of note in this document and significant because they represent the one-sidedness of the treaty are Articles VI, VII and XI. Article VI states that the Chinese government would have to pay all the expenses that England occurred while waging the war – England got off effectively cost-free while China had to pay twice the cost of the war, a great blow to the nation. In Article VII, England charges massive extortionate fees from the Chinese government, which was meant to cripple China and prevent it from rescinding the trade policy changes made by this agreement. Finally, Article XI insists that communication by officers of England and China be referred to by different names, creating a distinction between the two and allowing for racism in regards to the “Declarations” submitted by Chinese officers. The injustices caused by the Treaty of Nanking are examples of how the Treaty of Nanking, and other similar treaties, abused the Chinese people. An image of the Macartney Embassy, after which the letter was sent. Press the image to be directed to the letter itself. This document is a letter from Qian Long of the Qing Dynasty to King George III of the United Kingdom. To set precedence for the letter, it was drafted after the Europeans had begun to notice the presence of the Qing Dynasty – that is, after the Russian-Manchurian Border Conflict which showed the power of the new dynasty – but before England effectively took control of all Chinese trade in the Opium Wars. A major point of interest in the relations between Europe and the Qing Dynasty is represented quite nicely in this letter, as Qian Long reacts quite irritatedly to what seems to be a benevolent request by the British to further diplomatic relations. The reaction of Qian Long brings into light an important issue in the Qing Dynasty-European relations; how the two regions viewed eachother. As is clearly represented by this letter, the Chinese saw the Europeans as “barbarians”. The Europeans are unfit to learn the Chinese customs and China is completely self-sufficient, not needing any aid from across the sea. Europe’s viewpoint on China is not shown in this letter, but if their reaction to other lands across the sea, such as Africa and America, is any indication, they thought very similarly of China. The ignorant viewpoints of both the Chinese and the Europeans with respect to each other is a key component in the relationship between China and Europe, spawning many wars due each’s intolerance of the other. This was used to demonstrate the influence of Western realism and documentation methods, and, in particular, the work of Giuseppe Castiglione. (Thorough explanation in picture.) 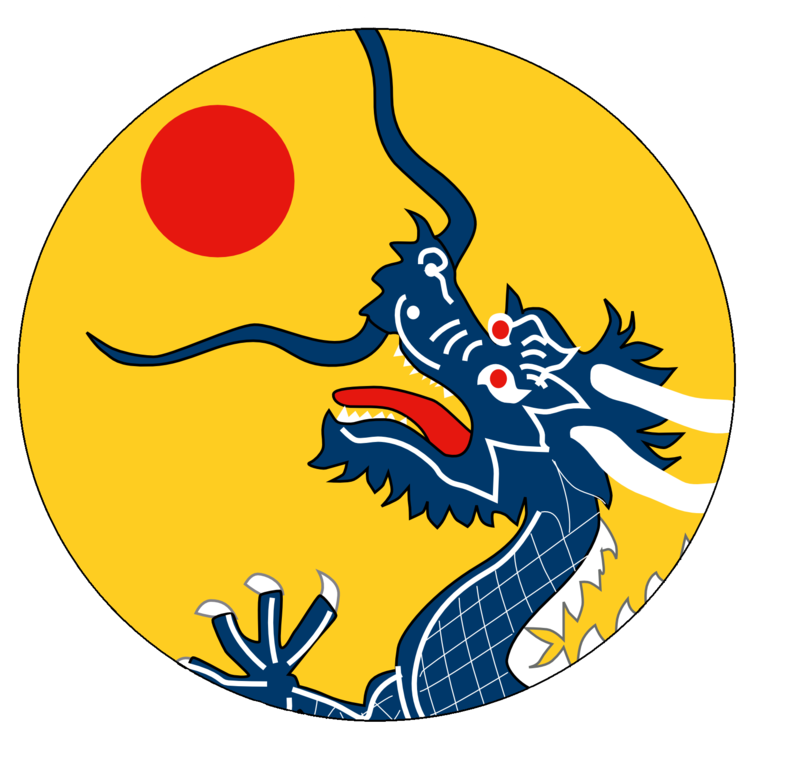 Used in: ART – Western Influence on Qing.